Reinsurance broker Guy Carpenter has announced the establishment of a new Global Capital Solutions Group that will be led by the firm’s Vice Chairman, David Priebe. At the same time, the firm has revealed a series of new appointments, all in relation to the acquisition of JLT Group by its parent, Marsh & McLennan Companies. Guy Carpenter states that the establishment of its Global Capital Solutions Group and the new appointments reflect continued efforts to both align and integrate its capabilities with that of JLT Re, the reinsurance broking arm of JLT Group. The new unit is to be led by David Priebe, who is expected to work closely with the firm’s analytics, strategic advisory, and broking teams. The new Group is to be made up of two units, Global Capital Solutions and GC Securities, both of which will report to Priebe. The Chief Executive Officer (CEO) of North America at JLT Re, Ed Hochberg, is to become Head of the Global Capital Solutions practice, and he will also be tasked with supporting the integration of JLT Re’s North American business with Guy Carpenter. GC Securities, which is the company’s insurance-linked securities (ILS) division, will continue to have Shiv Kumar as its President. As well as appointments within its newly created Group, Guy Carpenter has announced numerous other appointments. In Guy Carpenter North America, Tim Gardner, CEO of GC North America, and John Trace, President of GC U.S., will stay in their leadership roles. Other appointments in the unit includes Keith Harrison, CEO of UK & Europe, JLT Re, becoming Head of London North America for GC. He will also lead the establishment of a new London operation to service and source business non-affiliated with Guy Carpenter, which is to be overseen by President and CEO of Guy Carpenter, Peter Hearn. Harrison is also set to join the Guy Carpenter Executive Committee. Simon Keeley, Head of London North America, GC, and Mark Higgins, Head of London North America at JLT Re, will both report to Harrison, and form part of the senior leadership team. Within Guy Carpenter International, James Nash is set to remain as CEO of Guy Carpenter International. At the same time, Jeremy Fox, CEO of JLT Re Asia Pacific, has been named Chairman of GC Asia Pacific. In Guy Carpenter Specialties, Kevin Fisher, CEO of GC Global Specialties, is to become Chairman of GC UK & Specialties. At the same time, current Deputy CEO Global Specialties and Head of Non-Marine Specialties at GC, James Boyce, is to become CEO of Global Specialties, and also join the Guy Carpenter Executive Committee. Furthermore, Bradley Maltese, Deputy CEO of UK & Europe at JLT Re, will become Vice Chairman of Global Specialties, while Richard Morgan, Managing Director, GC Global Specialties, has been appointed Head of Non-Marine Specialties. The appointments of Boyce, Fisher, and Morgan are effective immediately, states Guy Carpenter. Finally, within Global Strategic Advisory, David Flandro, Global Head of Analytics at JLT Re, has been named Global Head of Economics and Franchise Risk Advisory. Vice Chair of GC Global Strategic Advisory, Vicky Carter, will continue to serve in her leadership role. 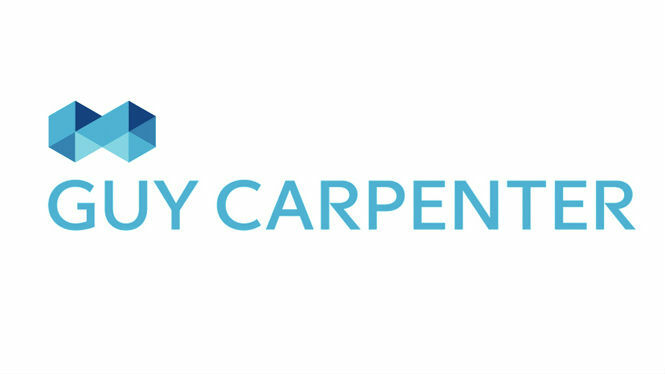 Guy Carpenter’s Peter Hearn, commented: “The combination of Guy Carpenter and JLT Re’s capabilities and expertise will create an exciting opportunity to deliver enhanced value to clients across the globe through a structure that is intuitive and aligned with our strategic priorities.